Uttar Pradesh Power Corporation Limited (UPPCL) is scheduled to conduct Computer Based Test for the recruitment of Junior Engineer posts on 11th Feb 2018. A huge number of candidates applied for the exam. Candidates who had applied are searching for the UPPCL JE Admit Card 2018 as it is the crucial document to carry for the exam and contains details regarding exam venue, roll number etc. UPPCL released JE Hall Ticket 2018. Candidates can download admit card from the direct link provided below. Uttar Pradesh Power Corporation Limited (UPPCL) is the company responsible for electricity transmission and distribution within the Indian state of Uttar Pradesh. UPPCL conducts the recruitment examinations for filling up the vacancies in various departments. This year it has released the notification for filling up Junior Engineer Trainee posts and the candidates who had applied can download admit card from the official website. UPPCL released notification and invited online applications for the recruitment of 226 posts of Junior Engineer (Trainee) posts. A large number of eligible and interested candidates applied for the exam. Candidates who had applied can download admit card from the direct link provided below. Without admit card candidate is not allowed to write the exam. The test will comprise of 200 objective type questions in which 150 questions will be from Diploma level engineering branch syllabus. The remaining 50 questions will be from General Knowledge/ Awareness (20 questions), Reasoning (20 questions) and General Hindi (10 questions). The examination is for 200 marks and there will be a negative marking of 0.25 marks for every wrong answer. 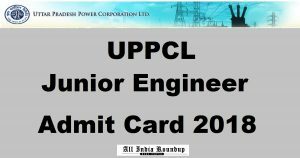 How to Download UPPCL JE Admit Card 2018? 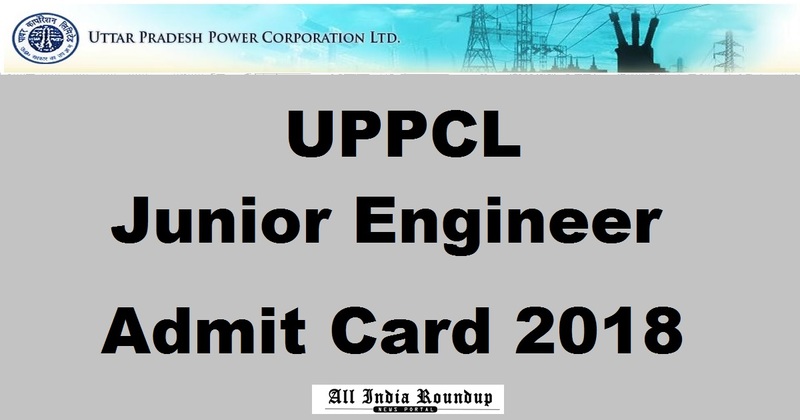 Click on UPPCL JE Admit Card. Stay tuned to this website. We will update UPPCL JE Answer Key, results here. Press CTRL+D to bookmark this page for easy navigation.